Presenting many options for the shrewd investor, this extremely rare property boasts a wide 20m frontage and subdividable flood free 1255m2 block in one of Chelmer's most prestigious streets. 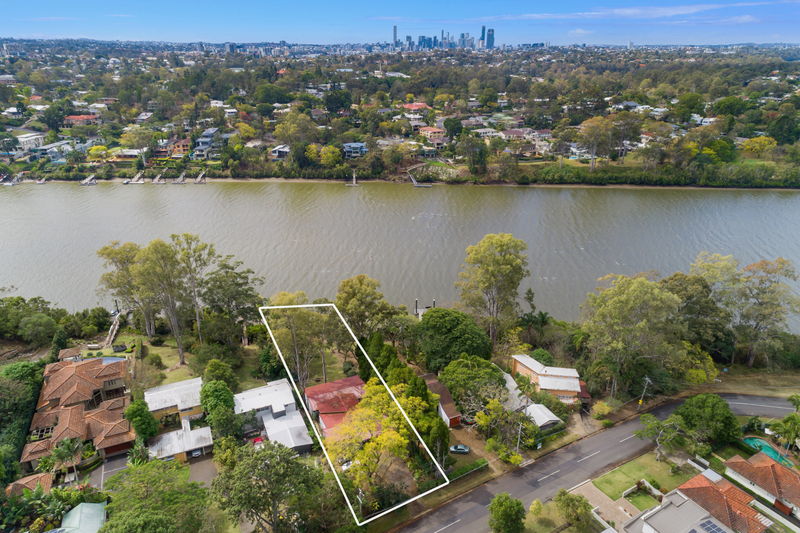 With its ideal north facing position, it is possible to demolish the existing house, subdivide and profit or keep both blocks and build a truly remarkable residence atop some of the finest real estate Brisbane has on offer. Otherwise, a further option is to renovate the existing Cam Scott designed house which was built in 1953 and recapture its original charm. Whatever option you choose, this is certainly a very rare opportunity to take advantage of one of the few remaining development sites on the river in Chelmer.